According to Redefining Operational Excellence by Andrew Miller, business environments change, and operational excellence isn’t sustainable for any extended period of time. Therefore, the definition of excellence must change along with the environment. Operational excellence has been associated with manufacturing and production. The intent was streamlining processes and eliminating waste. More recently it has implied world-class performance and excellence within an organization. 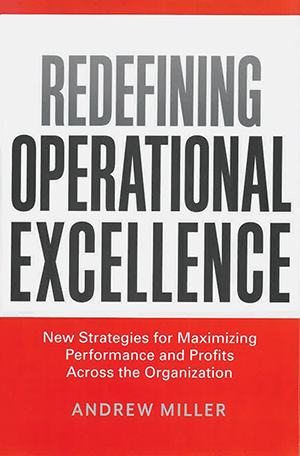 In the introduction, Miller explains that “Operational excellence is the relentless pursuit of doing things better. It is not a destination or a methodology, but a mindset.” What this book seeks to address is what happens in an organization after it has initially achieved excellence. Miller begins with the exploration and definition of the components of operational excellence, identifying common issues and problems in the workplace and discussing new approaches to their resolution. Miller believes that organizations implementing operational excellence rely on tools and methods to achieve their goals. He believes that if you focus on tools and methods, you become a slave to them, which then draws attention away from critical thinking for growth and value development. His redefinition of operational excellence provides a new method of implementing ideas and strategies to improve an organization’s process. His discussion points include how an organization can maximize results by pursuing excellence, not perfection; optimizing speed, not just speeding up; attracting and retaining top talent; employee empowerment; maintaining organizational innovation; and effective communication with customers. Miller highlights how successful companies embrace challenges and grow from them. Even in profiling those organizations successfully implementing organizational excellence, Miller calls out the ways in which they could better utilize strategies for success. The takeaway: All organizations have room for growth. Miller essentially proposes that an organization should always be striving for excellence by improving performance and profitability, focusing on growth and developing new opportunities. In other words, even once mastery has been achieved, an organization must always be looking for additional ways to improve and innovate. According to Miller, this is done by consistently redefining operational excellence based on the changing environment. 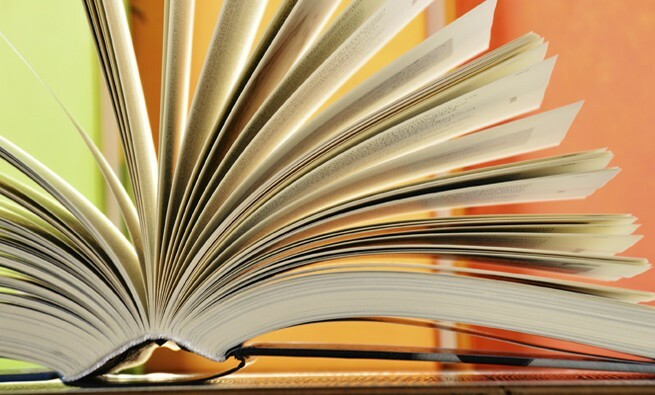 Miller’s book will assist any organization (retail, services, healthcare, etc.) in redefining its own situations and provide a roadmap for improved operational excelence. His recommendations are easy to understand and practical to implement. Holly Thomas is the senior plant controller at Celgene in Phoenix, Ariz., and is an IMA Member-at-Large. She can be reached at hthomas@celgene.com.